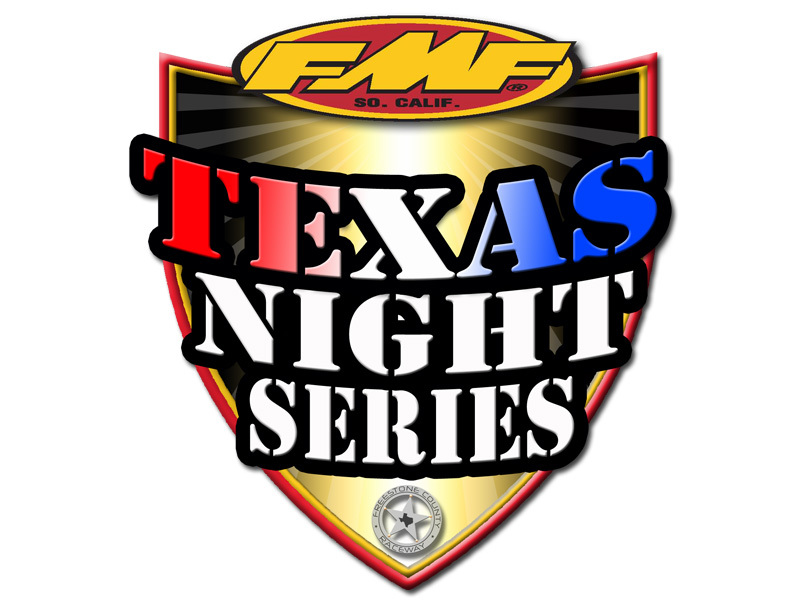 Saturday June 9th, River Valley will hold round 4 of the FMF Texas Night Series. The forecast is clear and looking great for a night of racing. 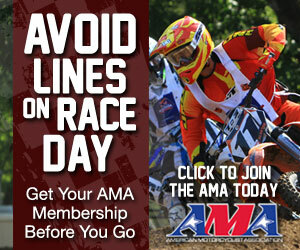 You must attend 3 out of the 4 rounds to be eligible for contingency. 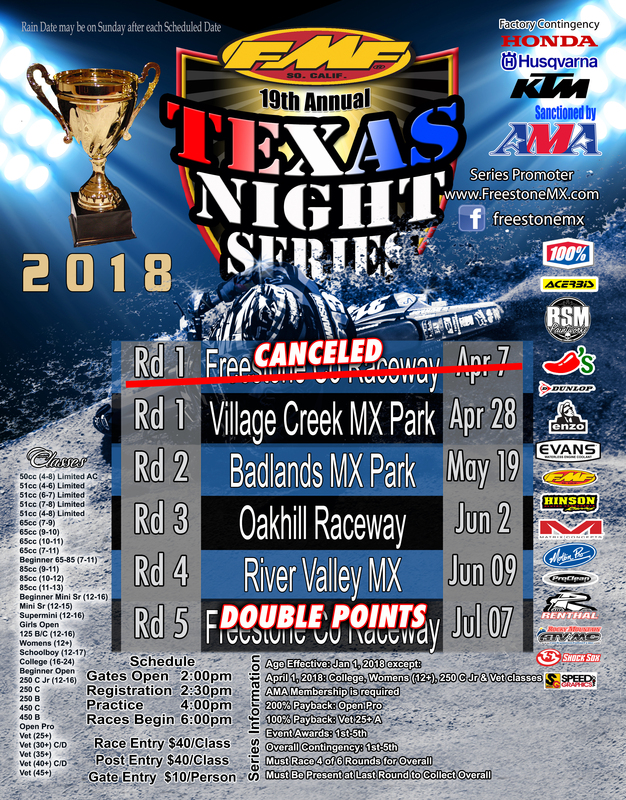 The last round at Freestone July 7th will be a double point round due to cancelation of round 1. We look forward to everyone racing this Saturday under the North Texas Lights!